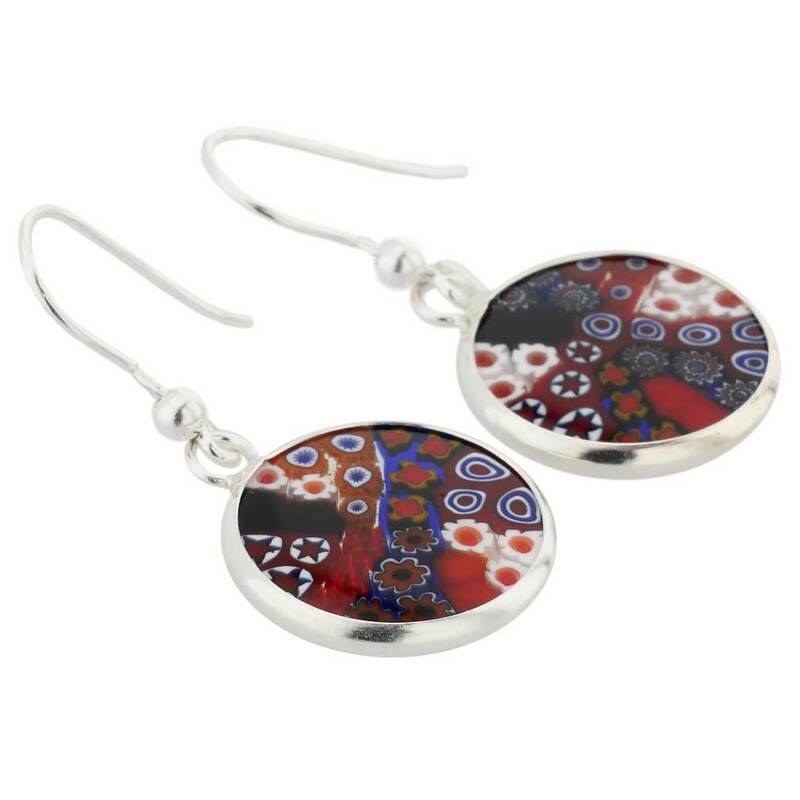 These exquisite earrings dazzle with a rich pattern and deep colors characteristic of Murano Glass creations. 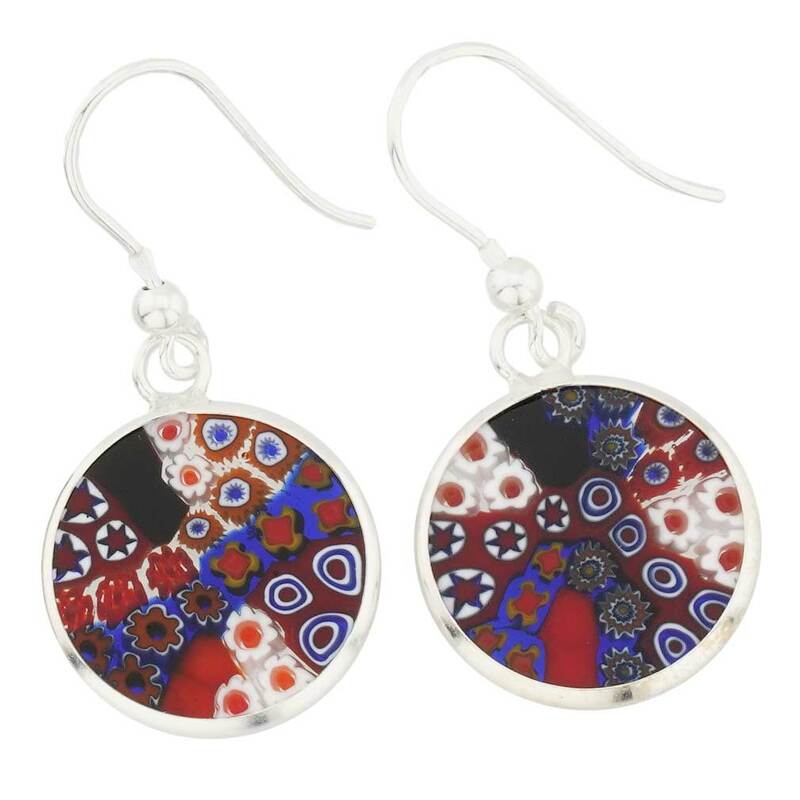 Handcrafted by Murano's most experienced artisans using Millefiori glass-making technique (translated as "a thousand flowers"), these earrings captivate with their sophisticated style and rare beauty. Each earring features a symmetric pattern of colorful stylized flowers in rich hues achieved through fusion of tiny pieces of glass mosaics arranged by hand. 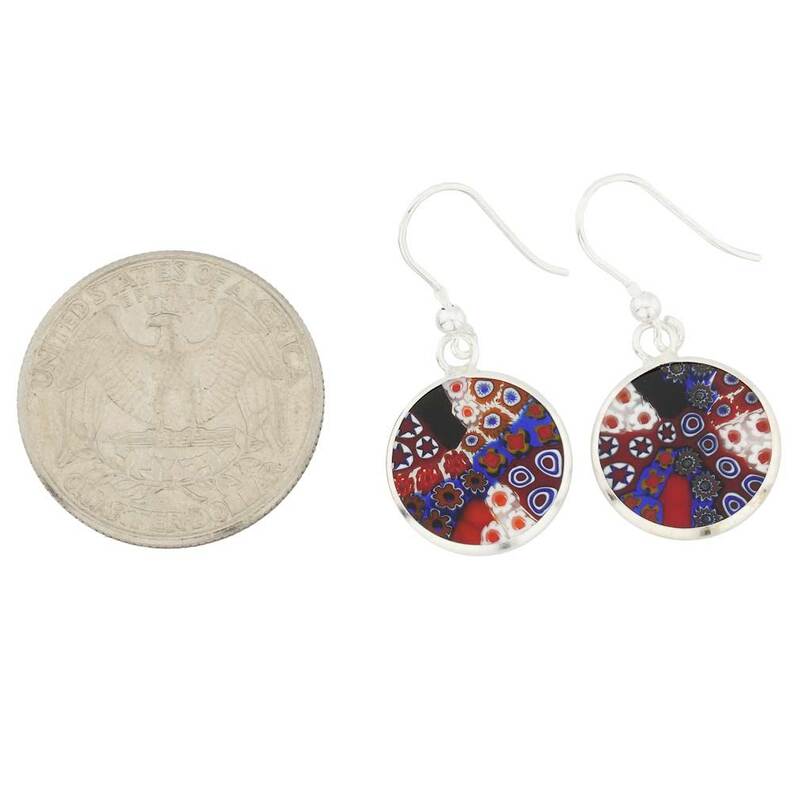 Pair these stunning Millefiori earrings with a Millefiori pendant in silver frame from our extensive Millefiori Pendants collection for a perfectly coordinated look. Metal used in the ear hooks and frame is 925 sterling silver. 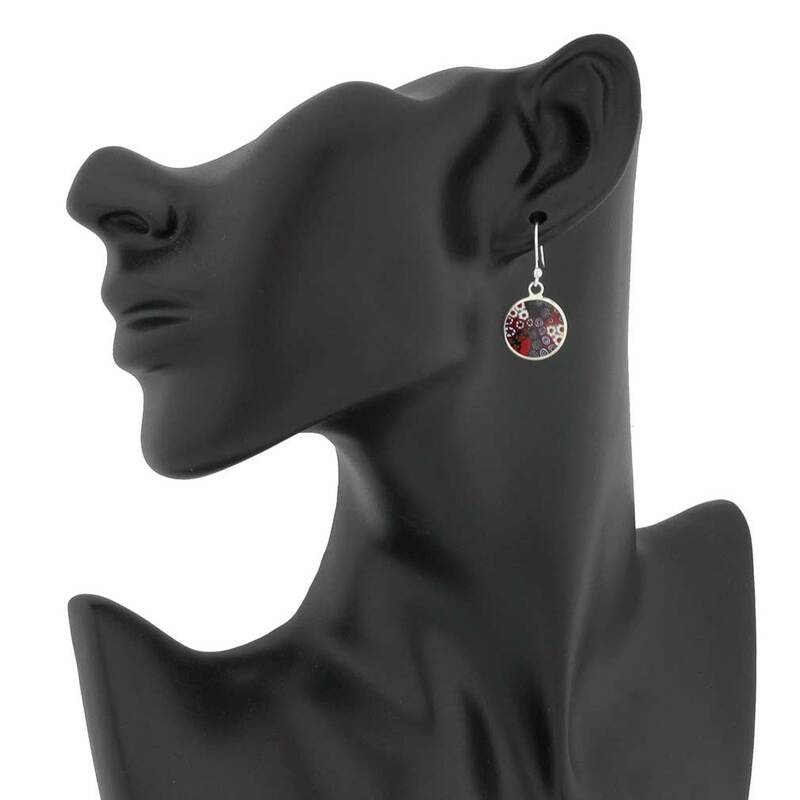 These Murano earrings are 100% handcrafted on Murano Island in Venice, Italy. They come with an attractive velvet pouch and a certificate of authenticity. I specially love these they are very light and airy.....you can see the glass through it beautiful!!!! Very unique in black and white! earrings match pendant nicely - good set. They are beautiful! They match a pendant I bought in Venice perfectly, don't know why I didn't buy earrings to match at the same time, just wasn't thinking. Quality is superb. I would definately purchase from Glass of Venice again, next best thing to be in Venice, Italy!! These earrings are worth every penny! Love! !